Are you looking for a quick, convenient and secure way to get rid of files that have exceeded their retention period or do you have business records that you just don’t need any more and they are taking up a lot of office space? A1 DATASHRED has the answer. Whether it’s time for your annual file purge, moving to a new office and it’s time to clean out those old files, your home is being overrun by outdated files. Our one time document destruction service provides a secure and easy way to destroy your business documents or personal records only when you need too. When we come to shred your documents is entirely up to you. You determine the frequency based on your needs. We can come just once or as often as you need us. Just call us when you are ready and we will be there to securely destroy your files. We have no requirement in terms of how often we come to you it’s only when you have the need. Step 1 – You decide when. Step 2 – It’s easy. Give us a call. Get a quote right away. Since you don’t need shredding services that often, you may have questions. We are happy to speak with you and answer any questions you have and explain how our one-time document destruction service works. We will also give you a quote during the same call and schedule your onetime appointment for any day you choose. You can have next day service Monday through Friday. 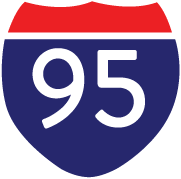 Step 3 – How to prepare. All you have to do is identify what files you want destroyed and separate them from the documents you need to keep. If it is easier for you they can be put in boxes, garbage bags or any container that you have available. You can also just stack them on the floor or on a table. Our mobile shredders are so powerful you don’t have to remove staples, paper clips, binder clips, rubber bands or file fasteners of any kid. If you files are in envelopes or redwells you can leave them the way they are. Our commercial machine will chew right through them all. Step 4 – Your one time shredding day is here. We come to your office or home on the day you prefer and our trained and uniformed service technician will do all the work for you under your direction. Your business records or private papers will be placed into one of our security bins and then it will be locked to protect your information. The bin is then rolled to the paper shredding truck where a bin tipper will lift the bin and empty the contents into the industrial shredder and your confidential records will be destroyed. You can even go to the truck with your documents and witness the whole process on a television screen on the side of the truck. We service small and large purge jobs. Whether you have five or five thousand boxes of files to destroy A1 DATASHRED is happy to help you. 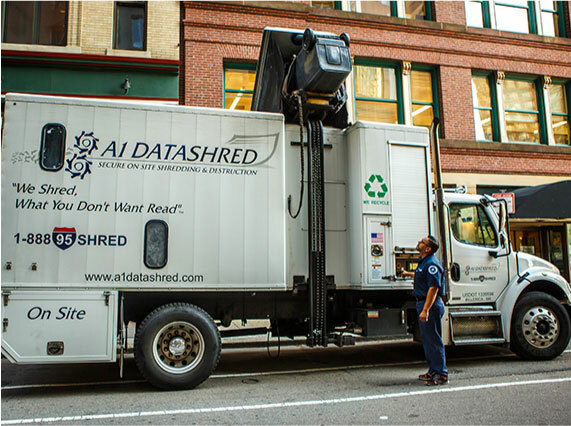 A1 DATASHRED has the resources to accommodate any size onetime shredding project. Tell us when you would like your purge shredding service performed and we make sure your documents are destroyed promptly and professionally. 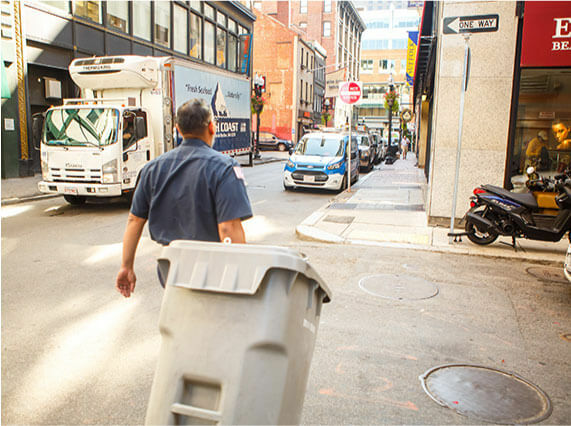 Our one-time shredding service offers the utmost privacy protection solution, for any onetime need including file room clean-outs, annual file purges and office moves. A1 DATASHRED is proud to protect the environment while protecting your identity. We are a Green company that understands the importance of being environmentally responsible. 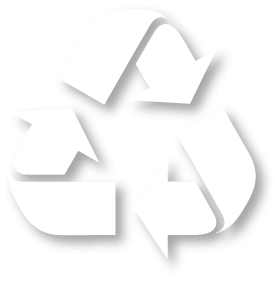 All of the documents we shred are recycled and used to make other paper products. Every ton of paper saves 17 trees. We are fully compliant with all state and federal privacy laws. All companies have to comply with privacy laws such as HIPAA, FACTA, SOX, GLB, FERPA or EEA. A1 DATASHED’s one-time shredding services are fully compliant with all state and federal privacy laws. As a NAID AAA Certified information destruction company, our document shredding process, our staff and our equipment are regularly audited to ensure your documents are shredded in the most secure and professional manner.